12x11mm. 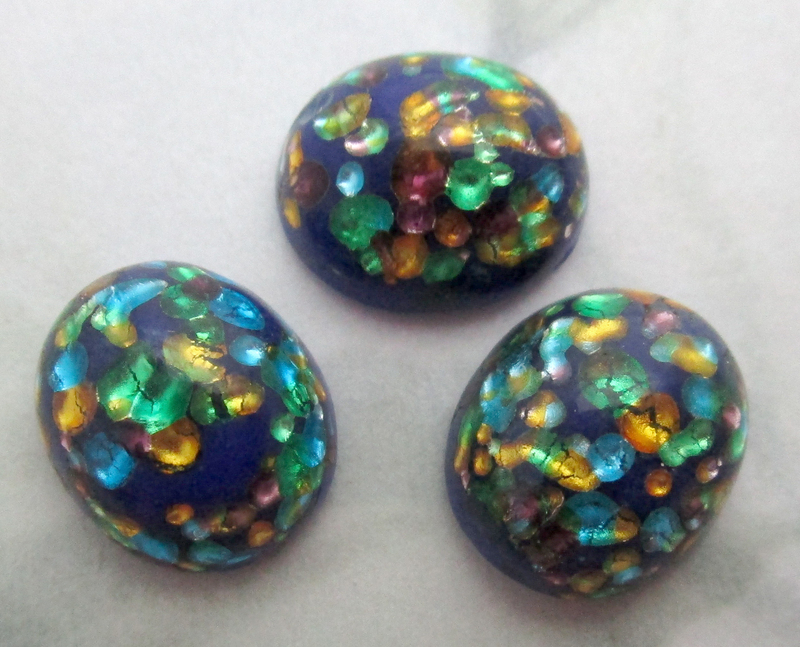 Vintage glass blue w multicolored foil inclusion sparkly cabochons by Cherry Brand of Japan. Backs are slightly rounded. New old stock. Jewelry supplies.